Unfolding his passion for Chenin Blanc, this selection will take you on a journey of Ken Forrester’s range of award-winning wine. 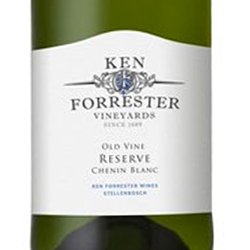 Ken Forrester was one of the founding members of the Chenin Blanc Association and as Chairman he plays an important role in promoting the variety and image of Chenin both in local and international markets. His philosophy has always been to create a range of handcrafted, individually made wines that suitably complement a wide variety of food styles and provide excellent value.